If youre a fan of Jet Set Willy, or still feel that the Spectrum is the best games machine of all time then Retro Gamer is a must-have. 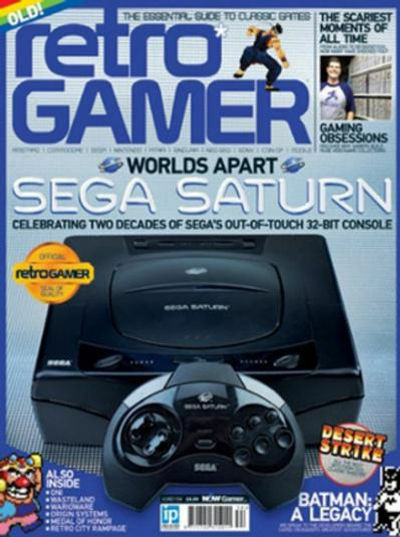 Retro Gamer also offers reviews on the latest retro-themed games and boasts an in-depth buyers guide for those wanting to add to their existing collections. Massive features: Learn more about the games that defined you in huge in-depth features that look back at the greatest games ever made. Console retrospectives: Classic machines and their game libraries revisited with expert insight, candid developer stories and stunning photography. Huge interviews: Read what the biggest names in the industry, past and present, have to say about the games and memories theyve created. Discover old classics: See games you never played Retro Gamer takes you through the hidden highlights of the computers and consoles you used to own. Homebrew corner: A guide to the modern retro titles created by the community, from the games you should play to the tools you need to create them. Collectors Corner: See the biggest gaming collections in the world and learn the stories behind the rarer and quirkier games out there.